Drivers who spend 20% of the time over the speed limit almost double their risk of an accident, according to new analysis from Insure The Box, the global pioneer of telematics-based car insurance and the leading provider of so called black box policies in the UK. Those who assume a little speeding can do no harm may be shocked to learn that going over the speed limit 10% of the time increases their risk of an accident by more than 42%. Smoothness of driving is also a key factor in accident risks as the analysis from Insure The Box reveals. Drivers who have erratic driving behaviour such as swerving, speeding and habitually slamming on the brakes are far more likely to end up having a crash. The findings, based on driving data and associated claims accumulated by Insure The Box, underline the power of driving data from black box policies in supporting driver safety. The company is proud to be championing Road Safety initiatives and encouraging customers to drive safer though the feedback it provides. Recently it identified a 30% increase in evening rush hour accidents immediately after the clock change and implemented a programme of communication to warn customers about the risks. 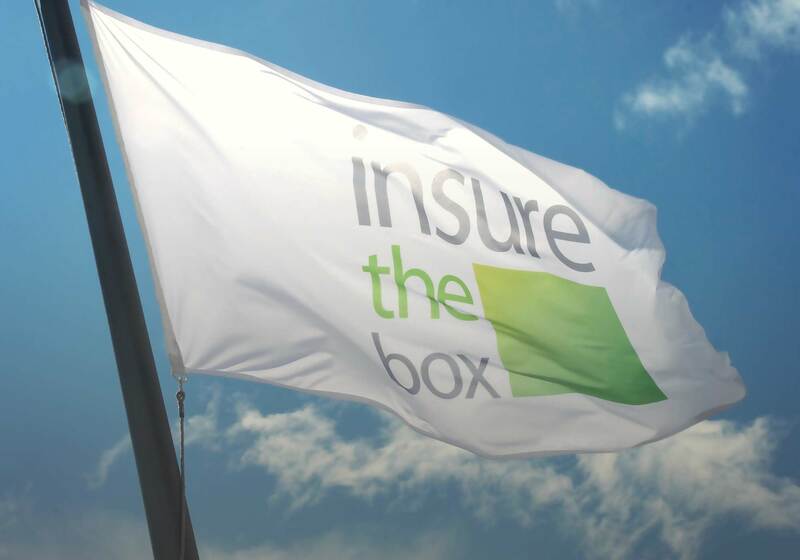 Charlotte Halkett, General Manager Communications for Insure The Box said: “When Insure The Box launched over 6 years ago we had a clear objective to change the way insurance serves young drivers and to support safer driving in this high risk age group. Unlike traditional motor insurers, we can calculate the risk of a customer having an accident based on their individual driving patterns, rather than the usual parameters such as age and vehicle engine size. And the actual driving data received from the black boxes installed in our customers’ vehicles enables us to directly target feedback and incentives to encourage our policyholders to improve their driving. “For example, we have seen a reduction in speeding of 15% amongst customers who we had seen speeding on a regular basis. Our data shows that this is likely to reduce the number of serious or even fatal accidents on our roads. “Furthermore, if our box detects a significant impact, we know about it immediately through our Accident Alert service, and can take action to best help our customer depending on their real-time circumstances. On average we call the emergency services 16 times a month on behalf of our customers, sending them directly to the spot where the accident happened. 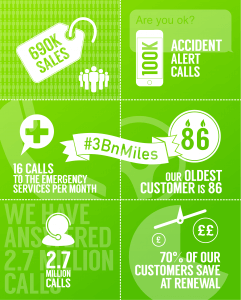 We have had nearly 100,000 Accident Alerts since launch and are in a unique position to understand the dynamics of a motor accident.